In the past two columns, I’ve been fondly remembering the great early start to the 1968-69 season, but this season has blown that one away! The Mount Mansfield stake set an all-time record for November hitting 46 inches on the 29th! The conditions have been so good that it’s difficult to find the right words. You just had to be there! Of course as I’m writing this on Sunday the rain is pouring down, so we’re still in Vermont and the season will go on! 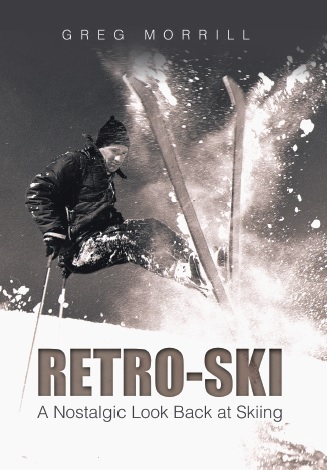 Back to 1968: Sugarbush was the first area I skied that season. And while I would ski Sugarbush several more times, its neighbor, Glen Ellen, would become a more regular part of my skiing schedule in that season. As a working person with no vacation, I could only ski on weekends and Sugarbush’s popularity led to long lift lines on the weekends. The lift lines at Glen Ellen were shorter plus its lift layout helped distribute the lines somewhat. I’ll talk a little more about that last point later. Glen Ellen was founded in 1963 by Walt Elliot. Elliott was an engineer working at an acoustic tile company in New York City. He was also a skier and had been involved in building and running a ski lodge at Killington. But in 1961 he made the decision to change careers and build a ski area. No one identified Walt Elliott as the founder of Glen Ellen. I knew it was a tough question, but just wanted to see if anyone remembered a fellow that probably deserved more credit than he ever received. Elliott found Mount Ellen and felt it had great potential. He bought the land at the base and arranged financing by selling shares for $1500 that included 20 years of free skiing. He retained Bud Lynch who had been at Stratton to do the original Glen Ellen trail layout. Elliott struck a deal with local loggers to clear the trails in exchange for the lumber. Glen Ellen opened in December 1963. Elliott must have been of Scottish descent which led him to name the area Glen Ellen. Most of the trails had names with Scottish ties: Bagpiper, Black Watch, Inverness, Royal Tartan, and of course, Low Road and High Road! I was unable to confirm if this Walt Elliott was the direct descendant of an important Scottish politician with the same name, but there was definitely a connection with Scotland. Elliott’s goal was to make Glen Ellen a “family” area in contrast to his glitzy neighbor Sugarbush. The original base lodge which still serves the area was designed to be a no-frills facility. However it did house all the needed services including the Golden Thistle bar on the second floor. And despite Elliot’s goal of making it a family resort, many of the stories from the early years involve afternoon champagne parties and Sunday brunch buffets. For example, there was a cow bell in the Golden Thistle. At the champagne parties if you could open a bottle of champagne and hit the bell with the cork, your drinks were free! There are a couple of traditions which can be traced back to Walt Elliott that I believe still carry on at Sugarbush today. There was a gelandesprung contest every year and a pond skimming contest. Walt Elliott was a big guy, over six feet in height, and apparently made a big splash in the pond! I mentioned the lift structure earlier. The 6250 foot long base chair did not go all the way to the top of Mount Ellen. There was a separate Summit chair that continued to the 4036 foot peak. That allowed Glen Ellen to boast the largest vertical drop of any eastern area for a few years. The two lifts also broke up the lift lines. In the morning you’d ski the Summit chair until the line built up and then return to the base where the line was shorter by then. Elliott faced ever increasing financial problems at Glen Ellen that were exacerbated by a bad lift accident in 1972 when the brake failed on the base chair. He sold the resort in 1973. Walt Elliott died in a sailplane accident in 1978, a year before the area became part of Sugarbush.